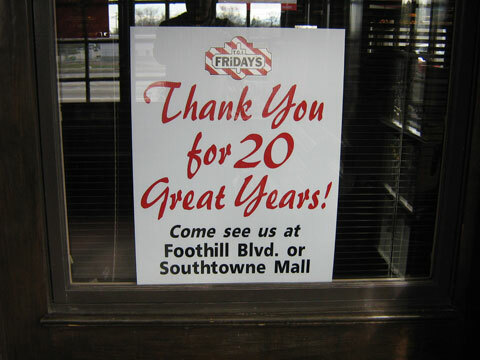 One of my favorite chain restaurants is closing a location, after 20 years in business. T.G.I. 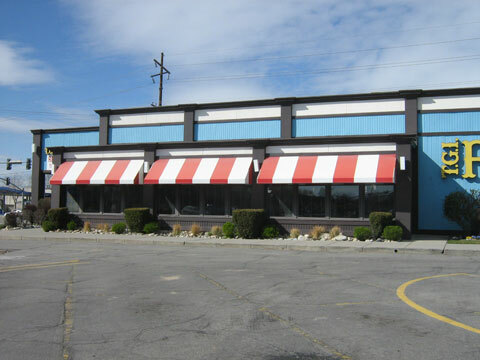 Friday’s, via their owner Slaymaker, made the decision to shutter the first Utah location of this popular eating establishment. Starting in 1989, I’ve been going to this location and enjoying a good meal. As the years progressed, I’ve taken ex-spouses, my daughter, friends, dates and my current spouse to this location. Sure, I’ve visited the other Friday’s locations here in Utah, but this particular location was always a favorite. Hearing of it’s closing brought some sadness. I told my wife that we needed to go pay one last visit this past Saturday [which was their final day in business]. The two of us had been there at least 60 times in the last seven years, obviously a favorite place for us to eat. For myself, I can say I had logged over 300 visits, collecting and redeeming thousands of points that we used mostly for free appetizers – not to mention the many wonderful drinks I’ve enjoyed being served. The closing of this location was brought on by the 2008 demolition of the Cottonwood Mall. This Friday’s location was supposed to remain open throughout the entire project, sticking around for the rebuild, to be completed in 2011. 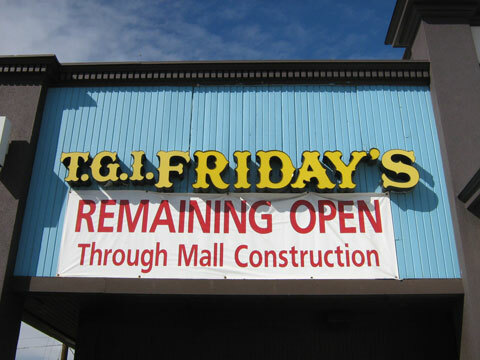 But obviously, the lack of regular mall visitors took it’s toll on those who visited Friday’s. Slaymaker, the owner of the Utah T.G.I. Friday’s locations, made a business decision to close this location. As we finished our meals, the manager came up to us and mentioned that the news was there and would we mind being on camera. Of course we agreed. With the camera pointed at me, then at my wife, we were asked how long we had been coming to this location, how sad were we that it was closing and then some general follow up questions. Below is the video clip. This was the Top Story on the 10pm news on Saturday night [March 28, 2009]. It was part of a larger story about how many businesses were affected by the delay during the mall rebuilding project. NOTE: To those that read the story before, my last name was misspelled. It has since been corrected in the text story, but in the video clip, it’s still spelled wrong. It was cool to see my wife and I on the news. People talk about their 15 minutes of fame. Well, this was our “15 seconds of fame” [for each of us], but still exciting, none the less. Psst… the service at the Southtowne location is better than the Foothill location. Just sayin. As for those who are curious, we will still frequent other Friday’s locations here in the state [they are building a new location this August at another mall], but will always use this location as a barometer for great food, awesome drinks and a memorable atmosphere. I can so relate to that location. xisor – Just as you and I texted about on Sat afternoon, that location will be missed. I loved watching you guys in the clip. The camera loves you 😀 I’m sad that your losing your hangout, and after so long! I wonder if there’ll be new plans made for that lot once the economy starts to get better. In any case, maybe you guys’ll discover a cool new place. OMG OMG OMG OMG OMG I know a famous person!!! catherine – Thank you, Cath. And yes, that camera did like me. We got to other places for food a drinks, but I too hope we can find a place with a similar atmosphere that at least has some of the appeal. dutchbitch – HA! You are one funny girl. I’ll send you my autograph next time I’m on the news. You’re famous!! Are you gonna get bodyguards, now?! 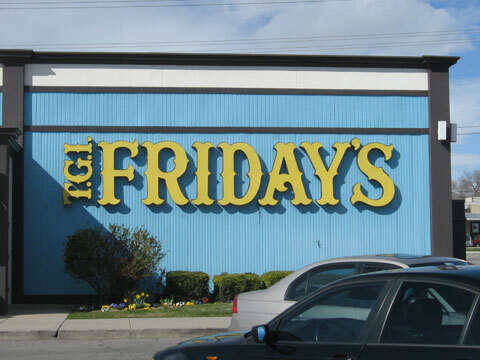 I always liked Friday’s – I am not an Applebees fan at all. sybil law – he he… it’s bound to happen with all of the blogs out here. Famous, at least I was for a brief time. Thanks for the props. I’m not much of an Applebee’s fan, either. kevin – Friday’s has always been a favorite of mine, too. They’ve been pretty consistent with their food and drinks. Did your wife just call you cheap? Aww… that is so sad… I’m sorry, Marty! But you and your wife did look really good on camera! amber – Thanks. Yes, it’s sad they are closing, but we had to go back for that one last day.